Based on the regular Reiber design, optimized the dimentions and formulated a compound that contains a lubricating agent within the compound that does not get off or dry out. Gasket materials complies in all respects with physical requirements specified in "ASTM F 477 & ASTM D 2241" standard. 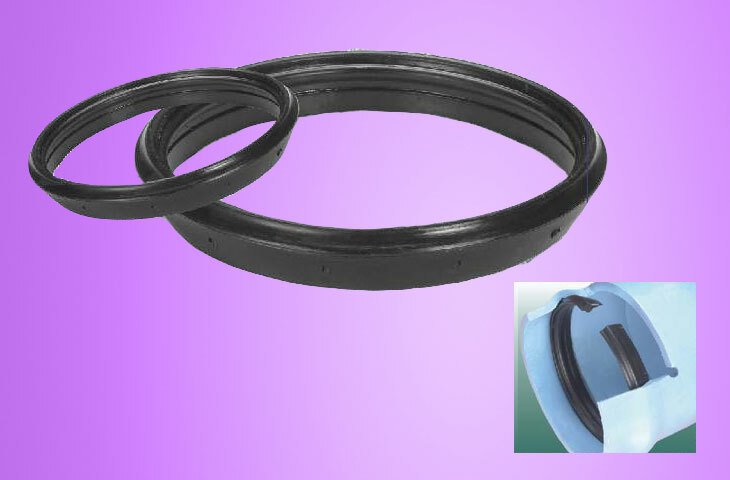 Superior quality synthetic rubber materials like SBR / EPDM / Neoprene / Nitrile are used as per its application. Available sizes : 1½" through 12"